I love salads. I can honestly eat a salad a day and totally not get tired of eating them. However, I know everyone is not like this but would like to eat a salad every now and then. Enter the Carrot Ginger dressing. Okay, I have to admit, this isn’t the prettiest food picture. But, hear me out. This salad dressing is REALLY delicious. Like, you want to slather this on everything delicious. We ate this on the side of a steak and totally dipped the steak in the extra dressing. 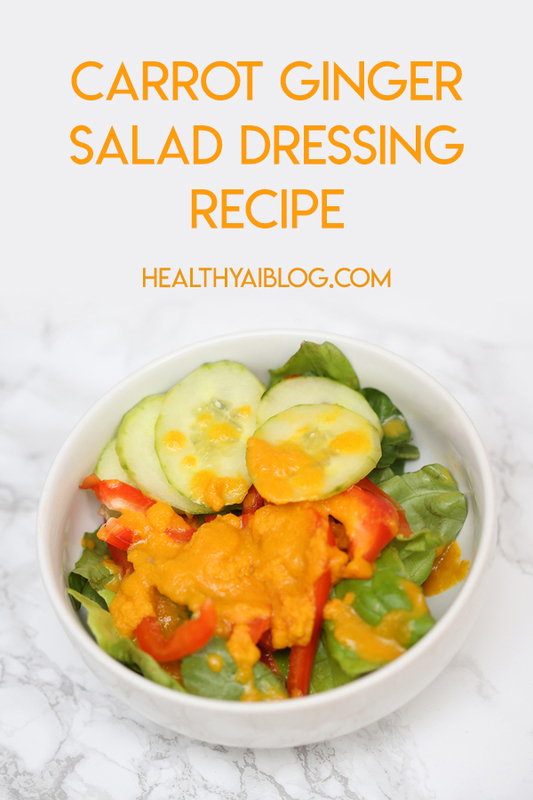 Plus, the dressing is practically a salad in and of itself and it’s crazy easy to make. It’s my go-to salad for weekdays when I can’t think of a good side dish (and I have extra salad in my fridge). Soak chopped onions in ice water for 10 minutes. Do not skip this step if you don’t want really onion-y dressing. Take onions out of the ice water after the 10 minutes and combine all ingredients in a blender or food processor. Season with salt and pepper. You can keep the unused dressing in an airtight container in the fridge for 1-2 weeks. Shake before use. Enjoy! Sidenote: You could probably make this paleo by subbing the rice wine vinegar with regular white vinegar, the vegetable oil for olive oil, the sugar for honey, and the soy sauce for temari. It will probably be pretty delicious, but not the same.